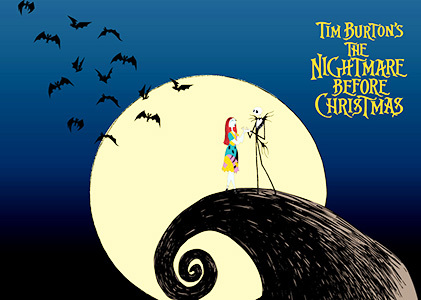 As the most casual movie watchers know, “The Nightmare Before Christmas” is a triumph in filmmaking. It doesn’t take a Roger Ebert to notice that each frame in the movie is crafted with all the love your Gram-Gram puts in an oatmeal cookie. Each musical note is snuggled in Danny Elfman’s heart-throbbing soundtrack as tenderly as the wool your Gram-Gram weaves into her socks. I’m ashamed to say that until yesterday, I had not seen this movie. In my defense, I have played Kingdom Hearts. The film’s animation, music, and perfectly cast voice talent are beyond critique. But much like your Gram-Gram, “Nightmare” does have a dark side. The movie clearly wanted to send a good message, but I found the message to be depressing at best. The protagonist Jack Skellington is the king of Halloween. When he gets bored of the scary life and gets a peek at Christmas, he decides to become Santa Claus and make people happy. He kidnaps Santa and takes over Christmas. He wears the suit and flies a sleigh with skeleton reindeer. He gives children snakes and shrunken heads as gifts, thinking that’s going to make them happy. Jack winds up getting shot down by the government because well, he’s a terrorist. Lying in the ruins of his sleigh, he happily realizes that he should go back to being the king of Halloween and stop being Santa. He frees Santa in time to save Christmas. To sum things up, kids, you have a role in life and you need to just accept it because things are not changing any time soon and you’ll never be good at anything else. If you don’t believe this movie, “Wreck-It Ralph” will tell you the same thing. I’ve heard it argued that the point of this movie is “Be yourself,” but that makes no sense. Nobody pressured Jack to be Santa. He honestly wanted to change who he was, although nobody asked him to. And when he failed, he gave up instantly. It’s still a great movie. But if I watched it as a kid, I probably wouldn’t be in college now.